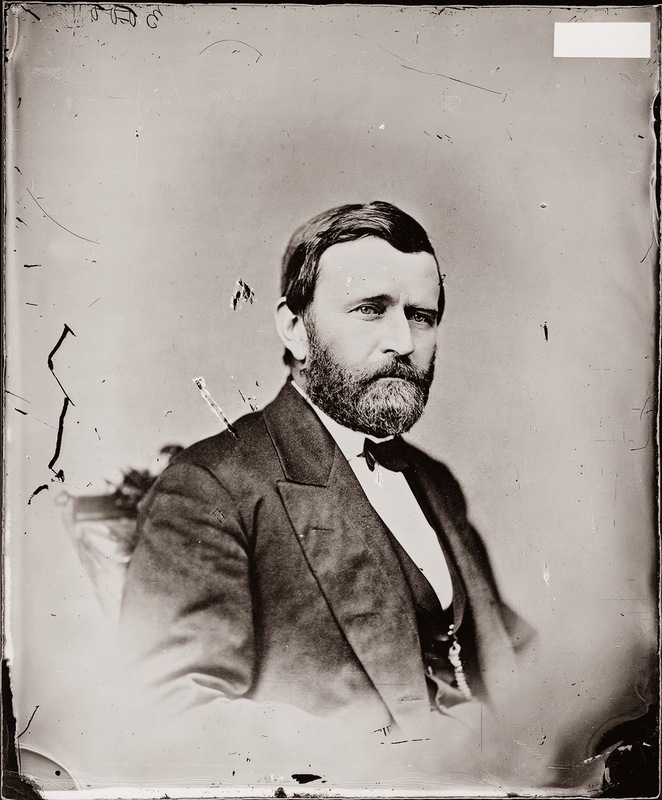 May 2014 marks the 150th anniversary of General Ulysses S. Grant’s Overland Campaign through Virginia. The Army of the Potomac’s march into Virginia in the spring of 1864 ushered in one of the Civil War’s most bloody periods. From May 1 through June 30, a series of battles were fought in places that have become synonymous with death and bloodshed: The Wilderness, Spotsylvania, and Cold Harbor. More than 80,000 men fell during this intense period of fighting, where soldiers faced fierce combat in an unrelenting war of attrition. Among the units in the VI Corps of the Army of the Potomac, the 96th Pennsylvania Volunteers were considered to be among the most elite fighting units. Made up of men from the rough-and-tumble world of Pennsylvania’s anthracite region, the “coal heavers” of the 96th fought their way through the war with a ferocity and devotion to the cause noted by many in the leadership of the Union army. In this regiment, the most meticulous record keeper of the unit’s movements and sentiments came from a middle class family in upper Dauphin County. Henry Keiser, an enlisted man in Company G, maintained a diary which recorded events from the regiment’s formation to the end of the war. The former printing apprentice from Wiconisco documented the regiment’s actions in the Overland Campaign extremely closely. From the diary he has left behind, we can see the determination with which the unit fought and the human tragedy this campaign produced. Grant’s Overland Campaign placed Keiser, his regiment, and over 100,000 Union soldiers into the breech during the Civil War’s most bloody operation. The diary keeper, and hundreds of other documents give us a window into the campaign and the utter devastation it reaped in both union and Confederate armies and the scars it left on the landscape of Virginia. Despite the bloodshed and high body count, Grant continued to push south to Richmond, something his predecessors failed to do. 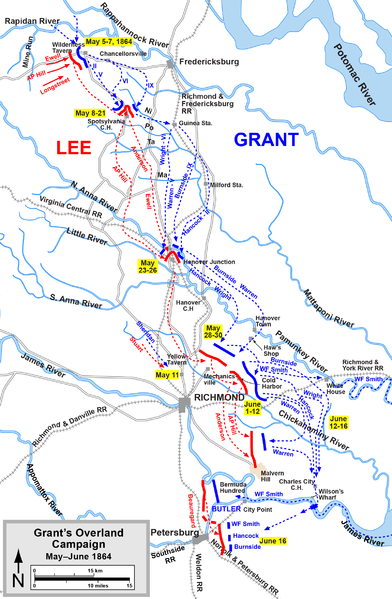 To the suburbs of Richmond went Grant and his immense army, pushing the Lee’s Confederate forces to the outskirts of the city. All the way to the railroad hub of Petersburg, several miles south of the Confederacy’s capital, the armies pushed. From here, a new segment of the war began. The Siege of Petersburg ushered in the final, decisive campaign of the war in the east. The Overland Campaign, which will be documented here over the coming weeks, helped immeasurably to bring the Civil War to its cessation. 1. Hess, Earl J. Trench Warfare under Grant and Lee: Field Fortifications in the Overland Campaign. (Chapel Hill, NC: University of North Carolina Press, 2007.) 205-206. 2. Grimsley, Mark. And Keep Moving On: The Virginia Campaign, May – June 1864. (Lincoln, NE: University of Nebraska Press, 2002.) 193-196. Above all, the series of books by Gordon C. Rhea that so meticulously cover the entirety of the Overland Campaign.